All posts under category 'Stunt Safety'. Action scenes are all about control and safety. No matter how risky the stunts are shown in it, people like T.J. White of the T-Minus Productions are always the ones behind the curtain trying to make sure everything stays in control and safety. There is a general misconception about the stunt coordinators. They are always thought to design and coordinate action clips that are wild in nature. However, what people forget is that even in simple scenes like those described below, things can go utterly wrong to the extent where the life of people involved can come under threat. California Lottery is known to everyone. As every business do, they also have their adverts. We have two of the commercials that we are going to peak into. Let’s start with the credits. 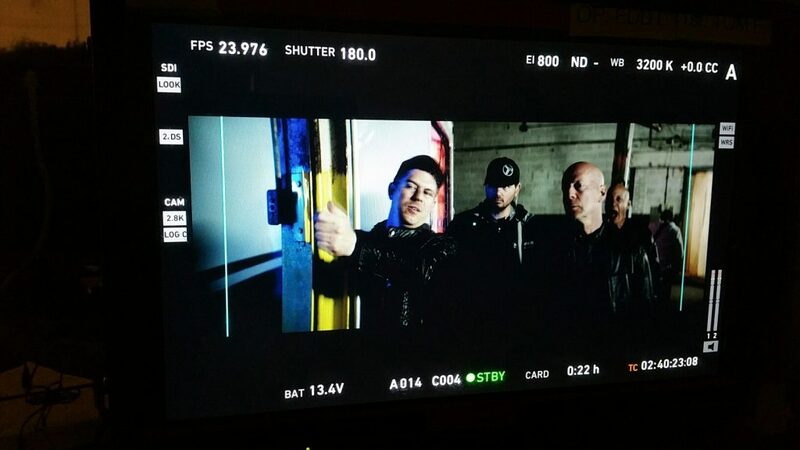 The commercial has been directed by Rich Lee and produced by Michael Angelos at the Native Content. 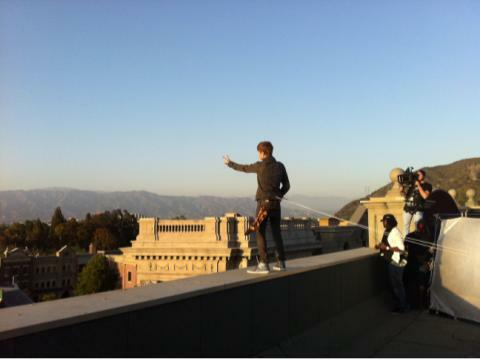 The stunt coordination is done by us, by the way. In the video, the commander of a seemingly waiting force is seen on a horse, while the others are holding spears and shields. Well, there’s where the misconception lies. Any mishap could happen. The horse could go bonkers, and with a reverse kick, it could blow off the life of any of the scantily dressed soldiers standing behind. Or, by carelessness, one of the spears could harm the horse. Of course, these are just speculations. Reality could be worse than it. This is another commercial that has been stunt rigged by us. It has been produced by Arthur Gorson and directed by Alejandro Toledo at the Harpoon Pictures. Unlike the one talked about above, this one has a more abstract approach to the CA Lottery’s Black Premium Lottery. When a commercial like this one is to be brought forth, the responsibilities of a stunt coordinator in no terms diminish. The approach we talked about is shown in the video as a floating catamaran and a dive into the water. Here too, it is easy to say that there isn’t much risk involved. However, when we look closely at the matters, even a single wrong move could harm the actor in the commercial. 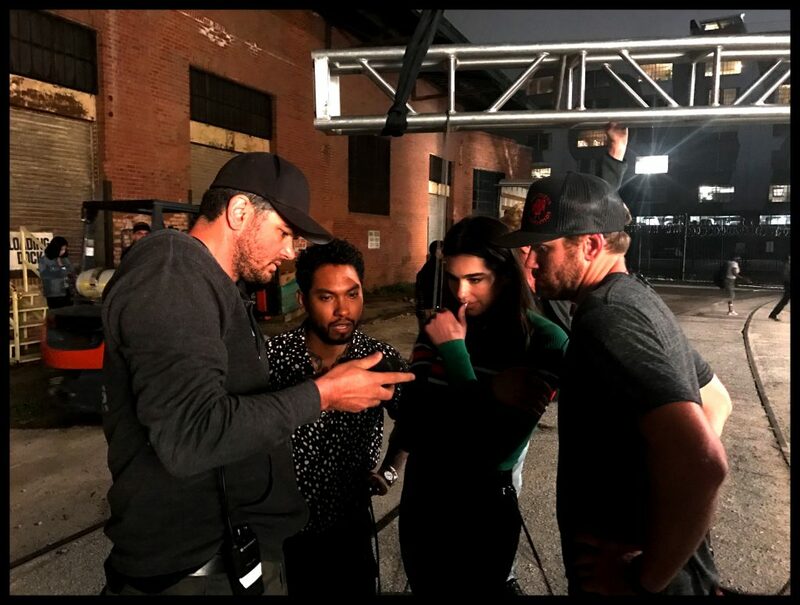 But thanks to the knowledge of the stunt coordination and rigging that we have accumulated so far and with the input of sufficient amount of experience of T.J., the commercials were shot without any damage. 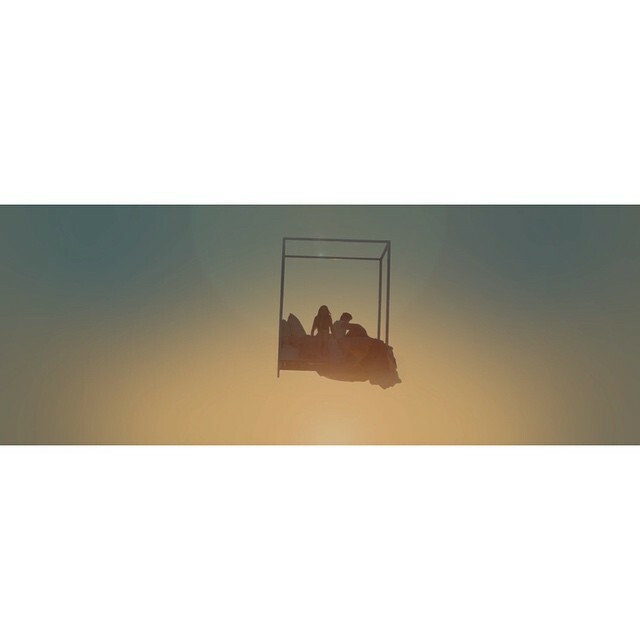 It was made possible by designing, supervising, and helping the director shoot the scenes in an environment made safe by the usage of different rigging equipment. And that is precisely what a stunt coordinator does. Each stunt counts. And without the proper utilization of the safety measures by a stunts coordinator like T.J. White, things could massively go wrong. To help you precisely shoot a commercial safely with all due protocols, you can contact our coordinators at HollywoodStuntCoordinator which is a part of T-Minus Productions. TJ White From T-Minus Productions Coordinates Stunts for “Acts of Violence,” Starring Bruce Willis! The new film Acts of Violence, released to theaters on January 12, 2018 from Lionsgate, is an action-packed wild ride from start to finish. 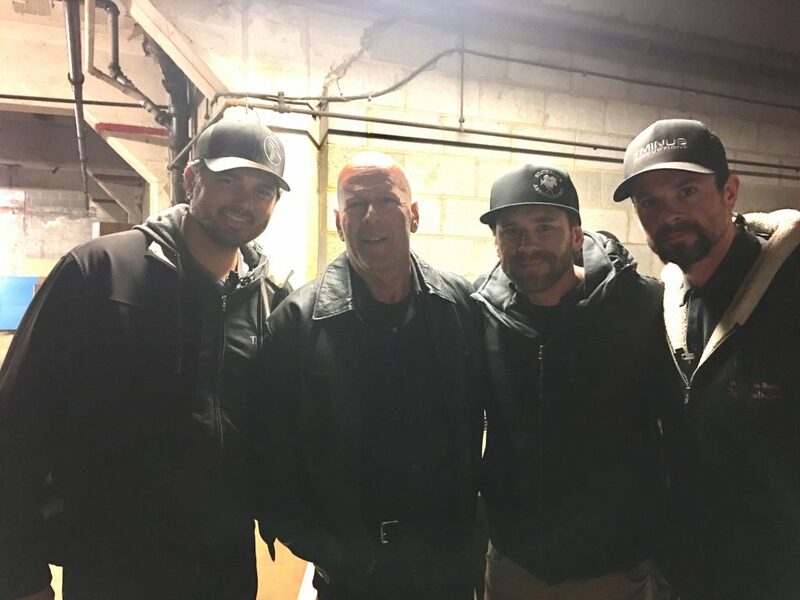 Starring longtime action-movie veterans Bruce Willis and Cole Hauser and directed by Brett Donowho, the film is about three ex-military brothers who join forces with a police officer to save a kidnapped family member from a sinister human trafficking scheme. Most of the time, moviegoers probably don’t stop to think about how those action sequences came about. But the reality is, a talented team of people is required to plan everything down to the last detail. It’s a process that takes months of planning and designing before the actors can even carry out the sequences. In this case, the man behind the action scenes was TJ White, Stunt Coordinator and 2nd Unit Director. TJ and his team at T Minus Productions designed every action sequence in the movie. Stunt coordinators have to create action scenes that are visually stunning, fit within the budget, time constraints and location constraints, and that are safe for the actors at the same time. It’s a big job, designing action sequences for an actor like Bruce Willis—but it’s a job that TJ White was happy to take on. 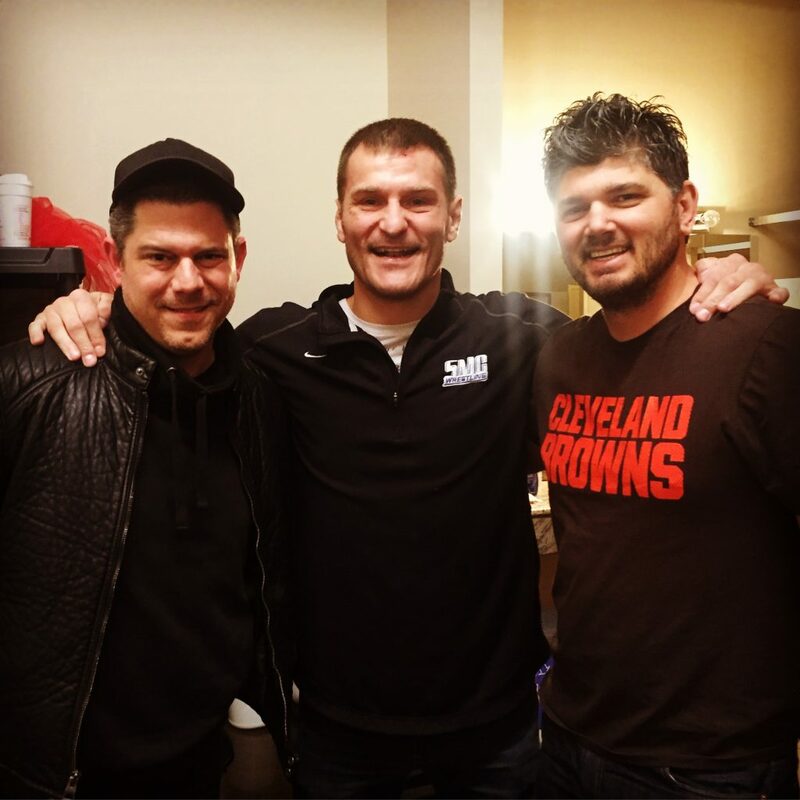 White is also responsible for casting local Cleveland resident and UFC champion Stipe Miocic to fight Bruce Willis in the film. Miocic is a professional mixed martial artist who is the reigning champion in the UFC heavyweight division. He’s also a former Cleveland Golden Gloves boxing champion and a fantastic all-around athlete. If anyone is worthy of fighting Bruce Willis, it’s definitely this guy. Another great Cleveland resident who assisted the film is Ivan Schwarz. Schwartz runs the Greater Cleveland Film Commission, a private non-profit that works to bring film industry jobs to Ohio. Working with the Greater Cleveland Film Commission allowed the film to make a positive impact on NE Ohio. Those weren’t the only big advantages to working in White’s home state of Ohio. The state also offers a Motion Picture Tax Credit that gives a refundable, transferable tax credit of up to 30% on production cast and crew wages along with in-state expenditures. Designed to bring more Hollywood films to Ohio, this program has been very successful in creating jobs and helping the Ohio economy. So if you’re looking for an action flick, you can now head to your local theater to watch it on the big screen. You can also purchase it on-demand. And while you’re watching, take a minute to think about the intense planning that went into designing action sequences, and the team of people who made them possible. 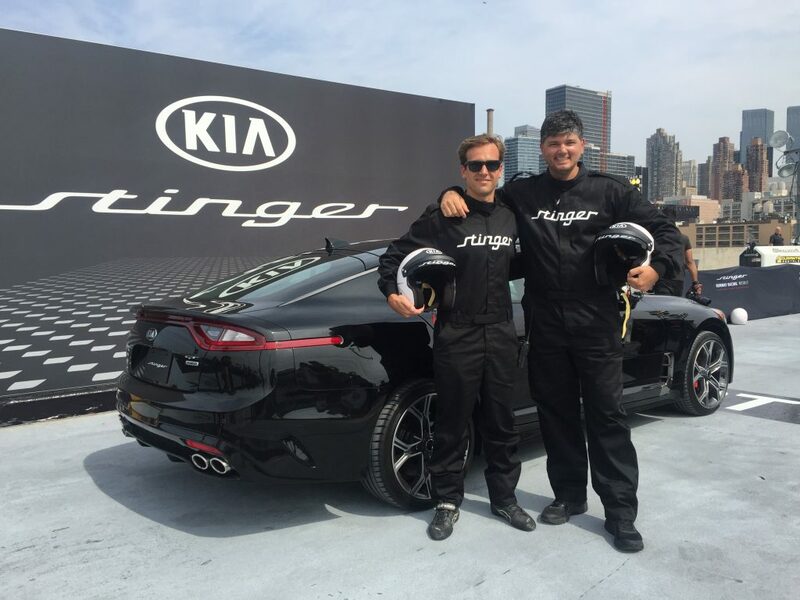 Supermodel Joan Smalls, Writer and TV host Derek Blasberg, Supermodel Candice Swanepoel , Baseball legend Alex Rodriguez, social media superstar Cameron Dallas, and Fashion designer Brandon Maxwell come to Pier 92 in New York City for Kia’s Stinger Runway Race Challenge. These Celebrities drag raced against each other while driving the new 2017 Kia Stinger Turbo. The track was set up in a way that the crowd and drivers could hear and feel the power of this newly designed car. The crowd cheered when each celebrity raced, going faster and faster than each other. For the win Supermodel Candice Swanepoel got the win with fasted top speed and quickest time. 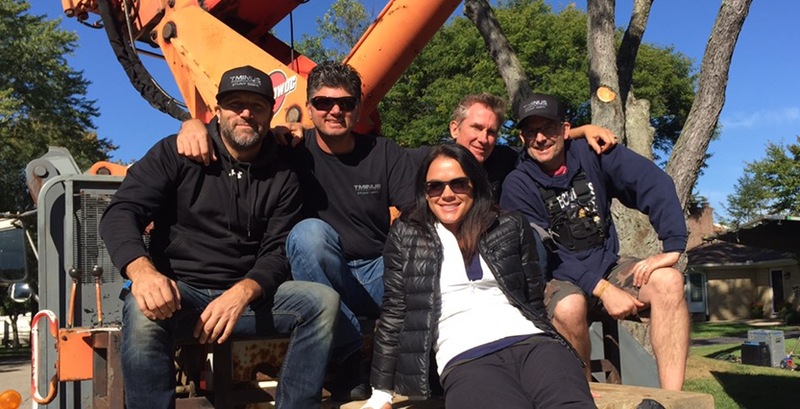 This event was supervised by professional Drifter and Stunt driver Matt Powers ” Escape Plan 3″ and Stunt Coordinator and Stunt Driver TJ White from T Minus Productions. 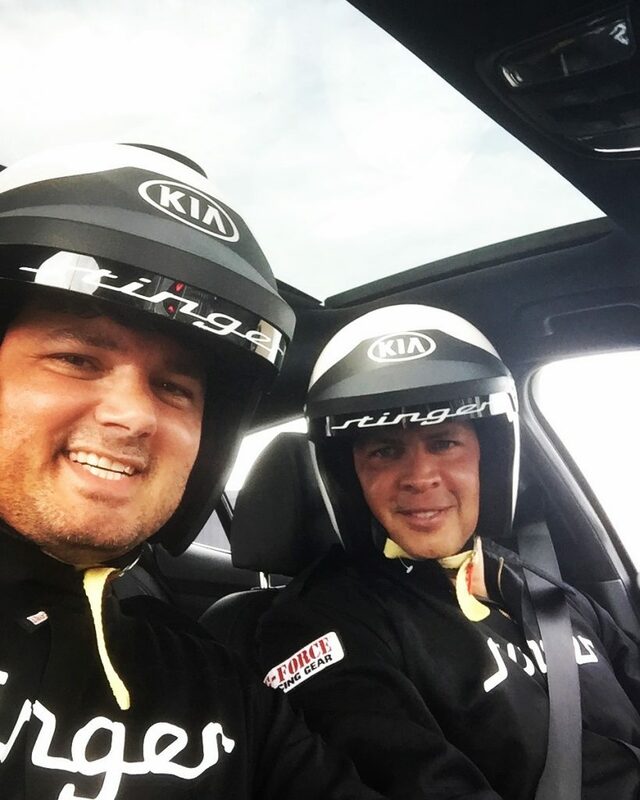 These professionals over saw the construction and design of the track and also rode passenger in the cars with the drivers to instruct and keep them safe while letting the celebrities enjoy there experience with the Kia Stinger GT. Ele Bardha a local Detroit Michigan Stunt Coordinator helped bring to life a Stunt concept for Quick Loans marketing department for there latest product Rocket Home Mortgage. These commercials were filmed in the suburbs of Detroit giving local film crews the ability to produce a great commercial there getting over 400K views on Youtube. A zero gravity levitation rig can be very difficult to set up. We used the same system, much like what they did in Sandra Bullock’s Gravity or Christopher Nolan’s Interstellar film. Using a state of the art body harnesses, a levitation system and experienced stunt riggers we were able to give the audience the same look as they did on these big budget films. Wire work is the most expensive and time consuming stunt done on film. 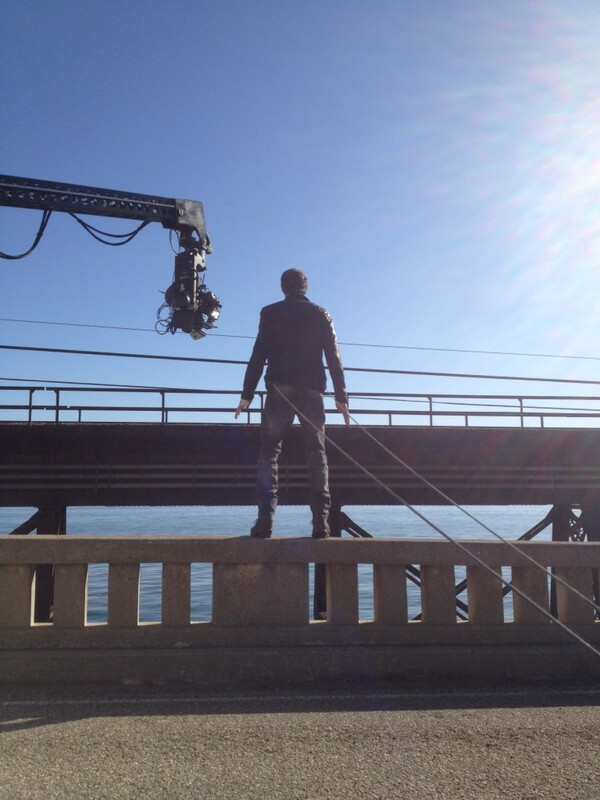 It takes time to design and test a stunt rig weather it is one person hanging one foot off the ground or 150 feet in the air. 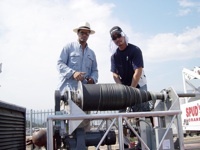 The same equipment and safety standards are used in each instance. 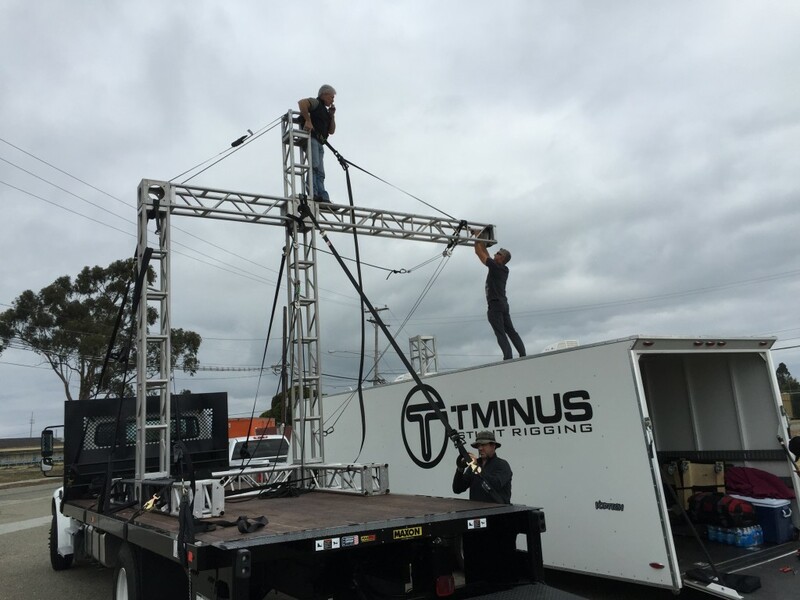 When hiring a Stunt Rigging Company a producer , director , ad agency or Production team should pay close attention to what the experience the Stunt Rigging Company has. Do they have a good reputation with other producers and production companies? Do they have the ability to do what they are asked of with in your time frame ? What is there budget for the stunt ? If a low budget comes in a production should be very worried. 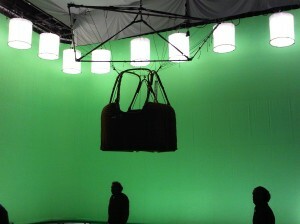 With not the right stunt rigging equipment, design or personal can cost production time and lot of money. 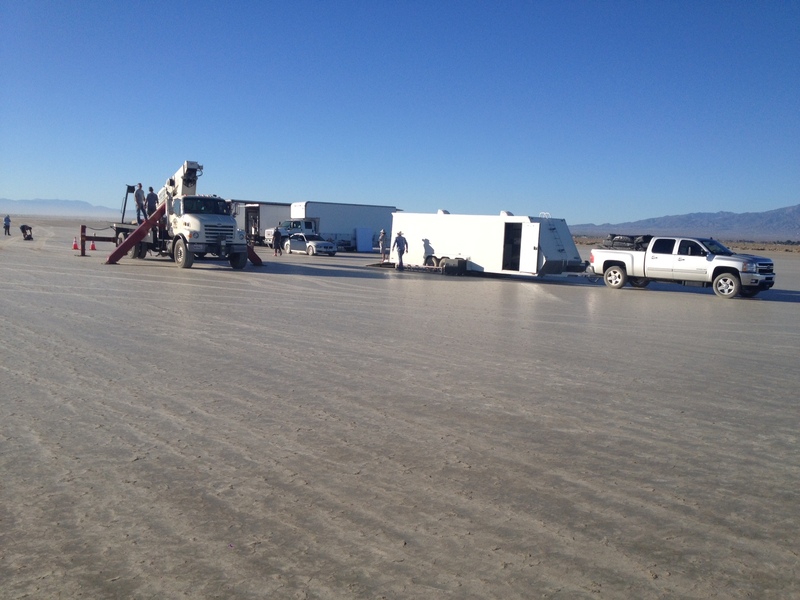 A typical qualified Stunt rigging company will pull up to set with a couple hundred thousand dollars in stunt rigging equipment in there trailer. They are always designing, fabricating and testing new equipment to help production create a more refined and dynamic stunt to film. Next time you are looking for a Stunt Rigging Company ? Look at there references, resume is could just save your production. Stunt Design and Stunt Rigging is one of the most important jobs in Safety and Stunts that no one talks about or even knows about. Years ago the Grips would rig an actor to a wall or fly them in the air. As safety precautions have increased by OSHA regulations so has the cost of equipment and fabrication. Stunt Coordinators spend sometimes hundreds of thousands of dollars testing and designing equipment to be able to us it today. Some of them even have an Oscar for the technical achievement they have made in film making. One of the more famous stuntmen has been Kenny Bates “Transformers, Pearl Harbor, Con Air” and his design of custom stunt equipment you have scene being used in any Micheal Bay film. Kenny has been with Micheal Bay from the beginning of his transition from music video and commercials to full length feature films. It is that loyalty that a director gives a stunt coordinator to be creative and design the equipment it would take to make these great action films. Other Action Designers like Stunt Coordinator – 2nd Unit Director Dan Bradley and Special Effects Supervisor Elia P. Popov when they designed the Go-Mobile for the Bourne Identity Trilogy enabling the SFX and Stunt Department to cable on a car to a high speed moving platform with actors in the car delivering there dialogue while driving at a high rate of speed. 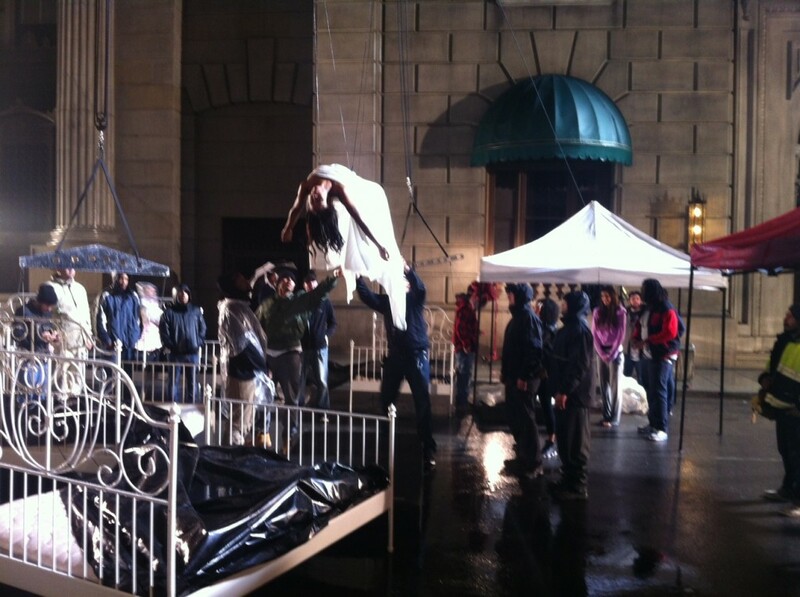 Using qualified Stunt Design and Stunt Rigging companies helps you get your safest and most dynamic action scenes.